In an industry that’s defined by an unreliable weather pattern, we pride ourselves on establishing solid quality control processes. We help manage our client’s expectations when the weather disrupts our daily living. Sauers offers reliable snow plowing services, plus a variety of snow and ice management services to ensure your property is functioning at capacity, with the highest safety standards for your employees and customers. 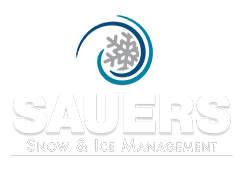 If you believe these expectations are in alignment with reliable snow plowing services and a snow & ice management company, consider Sauers as your trusted resource. Contact us for a free property evaluation and request a proposal. Call 215-659-1613 or fill out this form to schedule your FREE property evaluation.